Visitor Center open every day except Thanksgiving and Christmas. 9:00am - 5:00pm, Apr. - Oct.
10:00am - 4:00pm, Nov. - Mar. 45 miles south of Eureka along the Avenue of the Giants and 20 miles north of Garberville. In the early 1900s, loggers came to what is now Humboldt Redwoods State Park to cut down lofty ancient redwoods for grape stakes and shingles. 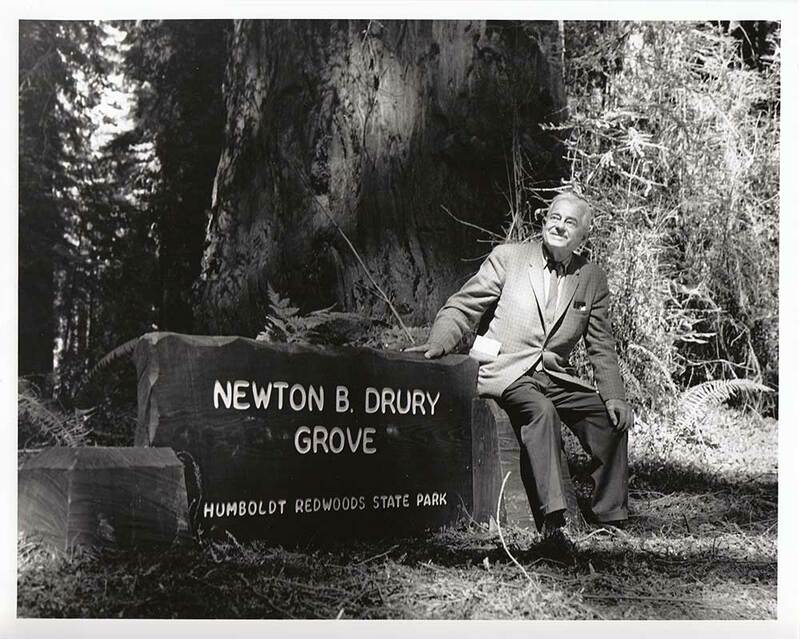 The founders of Save the Redwoods League thought that was akin to “chopping up a grandfather clock for kindling.” From the acquisition of a single grove in 1921, the League has raised millions of dollars to build and expand this park. 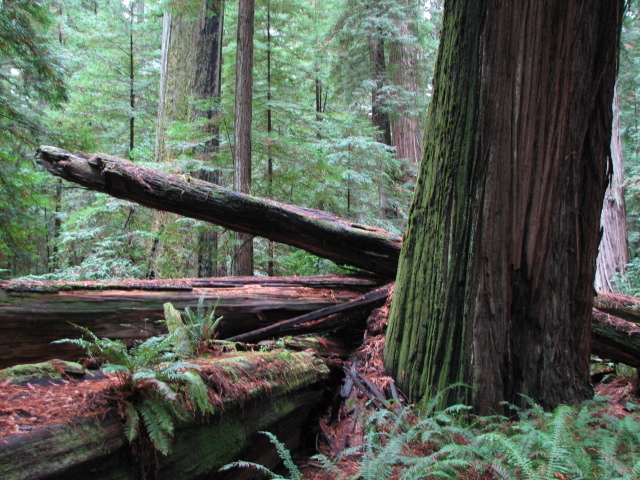 Today Humboldt Redwoods spans 53,000 acres, an area almost twice the size of San Francisco. About one third, or 17,000 acres, of the park is old-growth redwood forest—the largest expanse of ancient redwoods left on the planet. This park offers one of the best places to see redwoods by car in the entire North Coast region: the 32-mile-long Avenue of the Giants. Good stops along the way include Founder’s Grove, with its fallen 362-foot Dyerville Giant, and the California Federation of Women’s Clubs Hearthstone, designed by famed architect Julia Morgan. 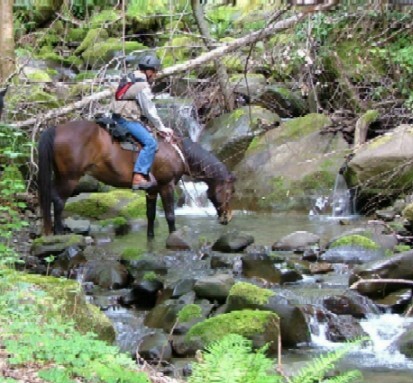 The South Fork of the Eel River provides excellent opportunities for fishing, boating, picnicking, and swimming. More than 100 miles of trails await hikers, bicyclists, and equestrians, who (along with other visitors) can spend the night in one of more than 250 campsites. Dave Stockton, former executive director of the Humboldt Redwoods Interpretive Association, knows the park well. “As a member of the community of living things, you owe it to yourself to experience this place,” he says. A wide variety of activities and facilities are available. More than 250 family campsites in three different campgrounds, plus environmental camps, group camps, trail camps, and a horse camp. A hundred-plus miles of trail await exploration by hikers, cyclists, and equestrians. The South Fork Eel River provides fishing, boating, and swimming opportunities while several-day use areas are ideal for picnicking, family activities, or merely enjoying the pristine environment. 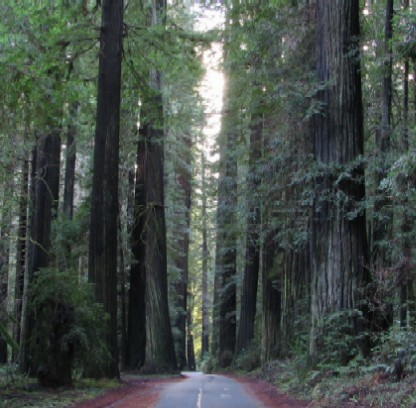 Some favorite locations include the Founders Grove Nature Trail, the 32-mile Avenue of the Giants Auto Tour, and the Humboldt Redwoods Visitor Center. The visitor center offers a wide variety of fun and educational exhibits and activities, including a theatre, displays, a bookstore, and the famous Kellogg Travel Log—the world's first RV, carved out of a fallen log and driven cross-country four times. Bird-caller Charles Kellogg promoted redwoods conservation and the fledgling Save the Redwoods League in his unique motor home. Auto Tour brochures are available at either end of the Avenue of the Giants and at the visitor center. 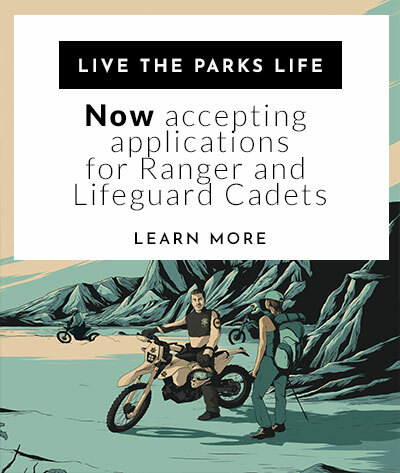 During the summer season, such interpretive activities as nature walks, Junior Ranger programs, and campfire programs are held daily. Humboldt Redwoods State Park is the site of two marathon races within the first three weekends of May and October every year. These marathons close two of the main roads through the park for up to six hours. For dates and details, contact the Avenue of the Giants Marathon (spring) or the Humboldt Redwoods Marathon (fall). To help plan your trip, please check out all of the links located on the right side of the screen under Related Pages. Don’t feed wildlife and clean up all food in your camp. Store food in an animal-proof container. Put trash in an animal-proof container. Two marathons are held in the park within the first three weekends of May and October every year. These marathons close two of the main roads through the park for up to six hours. . For details, contact the Avenue of the Giants Marathon (spring) or the Humboldt Redwoods Marathon (fall). 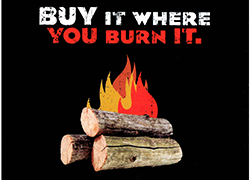 Due to a public health and safety concern, the propane lights will no longer be lit in the restrooms at the Williams Grove Group Camp. Please bring a lantern or a flashlight when using the facilities. 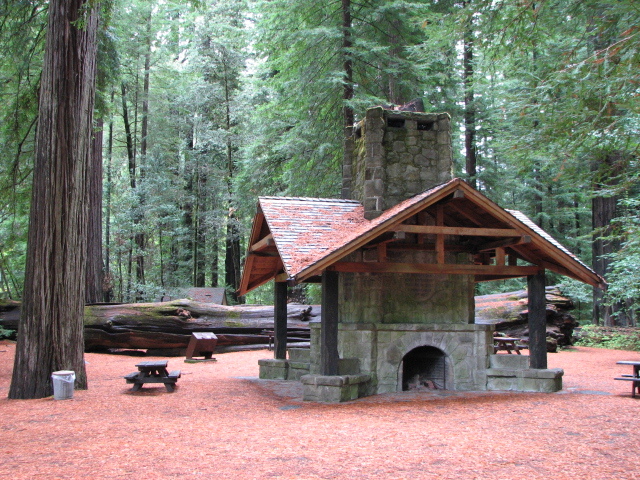 Park headquarters and the visitor center are located on the Avenue of the Giants, State Route 254, between the towns of Weott and Myers Flat—45 miles south of Eureka and 20 miles north of Garberville, off Highway 101. Weott is 228 miles north of San Francisco on Highway 101. The 32-mile-long Avenue of the Giants runs roughly parallel to Highway 101 from Phillipsville in the south to Pepperwood in the north. Summer: Highs in the 70s to 90s, lows in the 50s. Winter: Highs in the 50s to 60s, lows in the 20s to 30s. Visitors should come prepared for any type of weather. The park receives between 60 and 80 inches of rain per year; the vast majority falls between October and May. Rain in the summer season is unusual, but does occur. In the summer, frequent morning fog usually burns off by noon. Summer temperatures can vary widely – Expect as much as a 30-degree temperature difference between the extreme north end of the park, closer to the ocean, and the southern end of the park, just 30 miles away. Winter snow is unusual but does occur at the higher elevations in the park, usually above 2,000 feet. The park has international reknown and is classified as both a World Heritage Site and an International Biosphere Reserve. The coast redwoods (sequoia sempervirens) exist in a narrow band that runs for 500 miles from Monterey to just over the Oregon border. 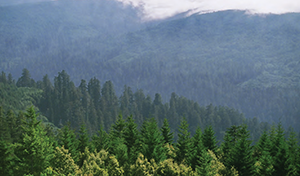 Needing a warm, moist and foggy environment, coast redwoods are confined to the coast and elevations below 3,000 feet. 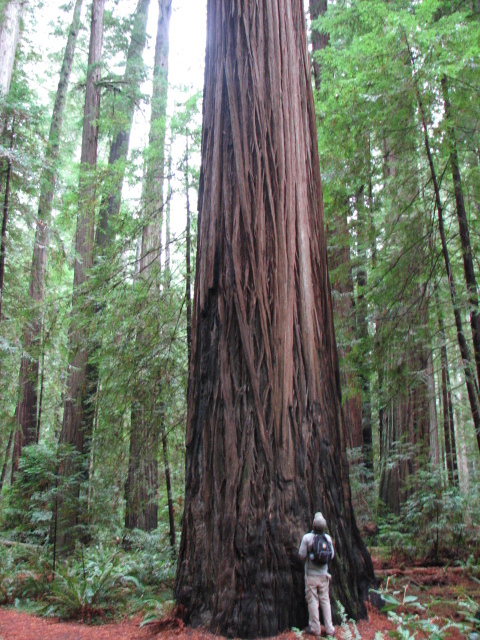 Redwoods are “living fossils” dating back 100 million years to the Cretaceous Period- the time of the dinosaurs. 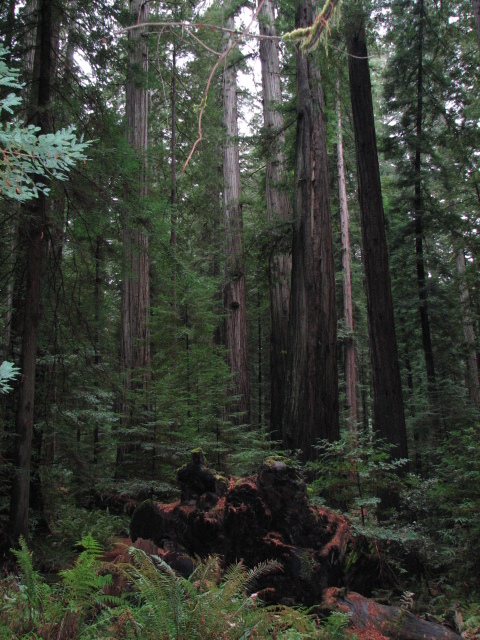 The oldest redwoods range from several hundred to as much as 2,000 years old. Old growth groves are truly monuments of the past. Prior to the Ice Ages (1.8 million years ago), the redwood forests were much more widespread but became restricted to their present range due to cooler temperatures and regional uplift of the Coast Ranges.